Here’s a question we are asked all the time. 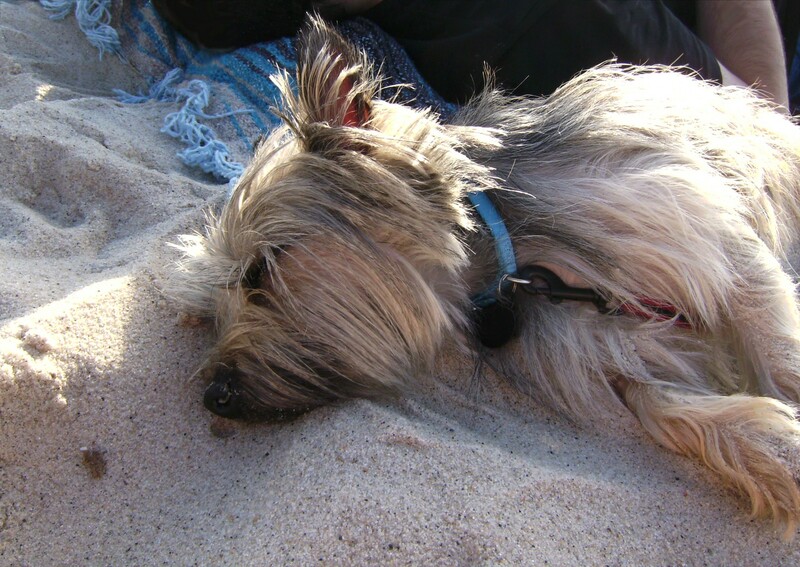 Are the beaches of Emerald Isle, Indian Beach, Salter Path, and Atlantic Beach dog friendly? Here’s the good news… YES, as long as you keep your pet on a leash. Don’t forget to take common sense precautions. You will need to bring along fido’s drinking water and the necessary means for him/her to do “their business”. In the midst of the, dare I say, “dog days of summer”, be sure to bring along some shade for you and your dog to ward off the sun. There are some species of dogs that may require sunscreen. Be sure to bring it along so spot doesn’t burn. Don’t forget. Like us humans, dogs need to be rinsed off after a swim and run on along the beach too. Here in Emerald Isle, there a few EI restaurants that allow your pet to enjoy dining alongside you. One of my personal favs is the Village Market. You and your dog can relax and dine out on their deck. Don’t forget about K9s and Coffee . They offer pet supplies and treats along with their gourmet coffees, smoothies, and their yummy desserts. The 1.7 mile Emerald Isle Woods Park Trail is a perfect place to take a stroll with your dog. Part of the North Carolina Birding Trail, you will enjoy scenic vistas of Bogue Sound. Keep a sharp eye out for a pod of porpoise swimming by. If you happen to take your dog as you bike the awesome Emerald Isle bike path, be careful. The bike path can get really busy especially in the summer months. Here’s more information provided by the Town of Emerald Isle on pets. Have more questions about your dog and the Crystal Coast? Leave us a comment below! Woof! 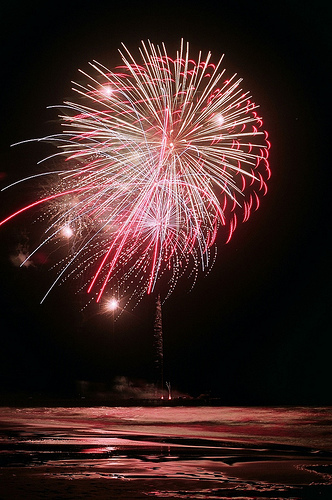 Are You Ready to Celebrate the 4th of July Emerald Isle Style? If you are vacationing on Emerald Isle for the 4th of July be sure to catch the fireworks show. Once again, the launch platform will be the Bogue Inlet Fishing Pier. The fireworks display will be visible from almost any vantage point on the island including the Intracoastal Waterway and Bogue Sound. So you have rented your Emerald Isle vacation beach house. The car is packed and you’re about to head south. Many of you traveling longer distances hail from Ohio, or maybe Pennsylvania. Why do we know this? Take a glance at the license plates when you arrive in EI. See what I mean? what is there to do in Emerald Isle, NC? Here is a great list of activities you try when you arrive!